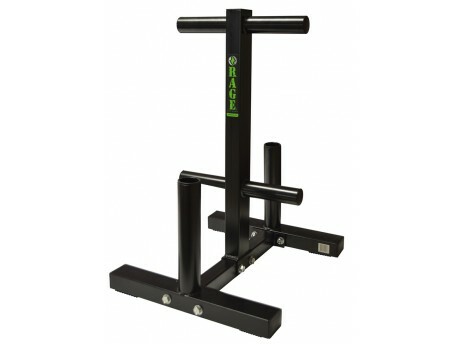 Heavy duty stand with 4 pegs spaced far enough apart to hold bumper plates. You can also store 2 barbells in the vertical bar holders. The low 32" height of this bumper tree helps prevent unsteadiness as you load bumpers onto it.